Although generally, much more attention is paid to the precious stones that sit atop engagement rings and other settings in jewelry, the metal that the ring itself or other pieces of jewelry are made of are also equally important. The particular metal with which a piece of jewelry is produced can be the determinant of a lot of features regarding the piece, ranging from its beauty and value to its durability. WHAT EXACTLY ARE PRECIOUS METALS? Precious metals are a class of metals that while being rare, also have certain qualities that make them desirable to people, for a variety of reasons – For instance, their ability to make beautiful jewelry. There are currently eight metals that are considered precious: gold, silver, and the six metals of the platinum family (palladium, platinum, osmium, iridium, ruthenium and rhodium). These precious metals are also known as “noble” metals because they have exceptionally high surface lusters and do not rust or corrode, enabling them to last for a very long period of time, retaining their initial shine and beauty. Throughout history, gold has always been one of the most sought-after materials for jewelry and other purposes. Its luster and color make for exceptionally beautiful and distinctive pieces of jewelry that do not corrode or tarnish. Over the years, a lot of distinctive designs have been achieved using gold, either by using it as base pieces or alongside other metals and elements. The malleability (or softness) of gold makes it the easiest metal to work with, but there can be too much of a good thing. Pure gold is much too soft to be used for most types of jewelry as it would scratch and bend easily. What is therefore usually done is to blend it with silver or copper in order to derive an alloy that is more resilient and suitable for use as jewelry. The term Karat (abbreviated “k” or “kt”) is used to describe the percentage of pure gold in the alloy, starting with 24 karats as pure gold and lower karat ratings with proportionally lower percentages of gold. Like gold, silver has been popular as jewelry for a very long time. It’s also versatile, lustrous and very rare. Like gold again, it is too soft in its pure state to be utilized as jewelry and is usually alloyed with other metals in order to prevent scratching and distortion. The purer the silver, the more easily it is scratched, bent or otherwise damaged. Silver is not rated by karats like gold. Instead, jewellers use the terms “fine” and “sterling” to describe silver that is very pure. 800 silver — this grade of silver contains 80 percent silver and 20 percent of copper or another metal. 925 sterling silver —this rating is for silver with at least 92.5 percent silver and no more than 7.6 percent of any other metal. 950 sterling silver —this contains at least 95 percent silver and no more than 5 percent of another metal. Fine silver — Fine silver contains 92.5 percent silver that is too soft to be used for most jewelry, but is sometimes applied in a thin coating over sterling silver to make it appear shinier. 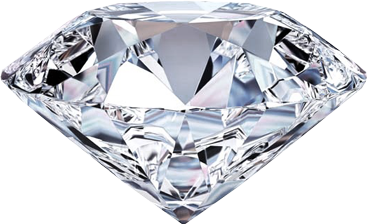 The six metals in the platinum family are rarer and pricier than gold, also arguably the finest of the precious metals. The metals are silver-white in color and are found worldwide. They are usually strengthened with other metals like iridium, osmium or nickel for use in jewelry. Like silver, platinum is not measured in karats but rather is stamped by the manufacturer with a quality mark that has been standardized to indicate its quality and purity. (Pt1000 denotes pure platinum). Despite being the most durable, lustrous and scratch-resistant of all metals, its scarcity means that is an uncommon material for use in making jewelry. Artisans prefer silver and gold as raw materials for the flexibility they allow.